Royal Canadian Mint has just released two new coins. 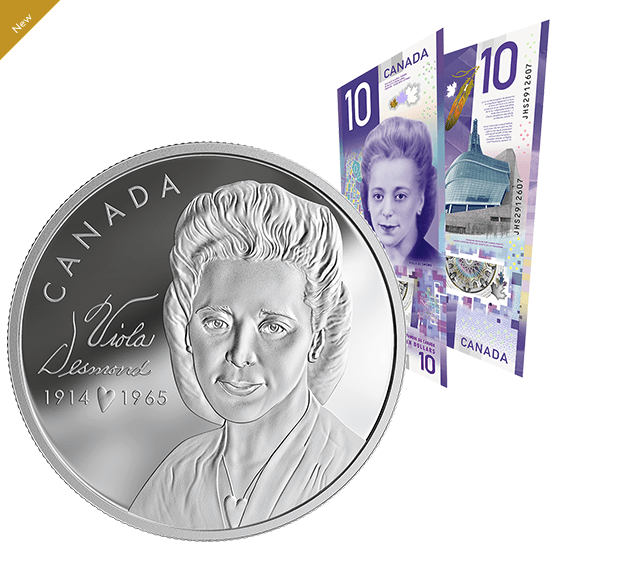 First, this Pure Silver Coin and $10 Bank Note Set – Viola Desmond – Mintage: 8,000 (2019) celebrates a Canadian civil rights pioneer, Viola Desmond, (1914-1965) in honour of Black History Month. It features Viola Desmond’s signature on the coin, while the script text is a nod to the Halifax businesswoman’s line of beauty products, the photo-based design is a lasting reminder that one person can inspire change. Get yours today for $149.95 plus FREE shipping. This 1 oz. Pure Silver Coloured Coin – Canada’s National Flag (2019) shows children flying the Canada’s National flag in the air, representing it as an inspiring and powerful symbol that becomes a beacon of hope and freedom for future generations to carry forward. 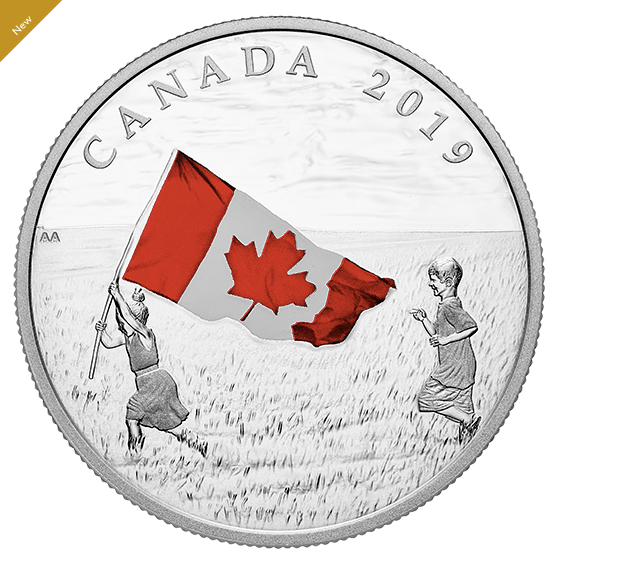 This coin features a young girl running through a field with the Canadian flag and her brother following close behind, an image captured by the Canadian photographer Aoifa Anctil. Get yours today for only $99.95. Royal Canadian Mint offers FREE shipping when you spend $100 or more. Click here to start shopping at Royal Canadian Mint.